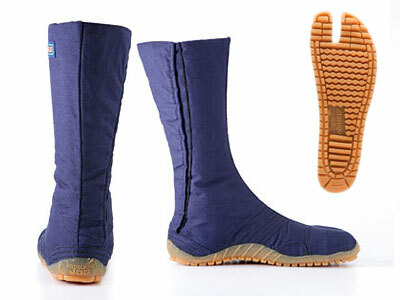 This model combines the reinforced toe cap protection of the ProGuard range with the comfort and support of the Jog. It is one of the few Marugo models that comes in sizes up to 30cm. Marugo are Japan's No.2 maker of jikatabi (after Rikio). 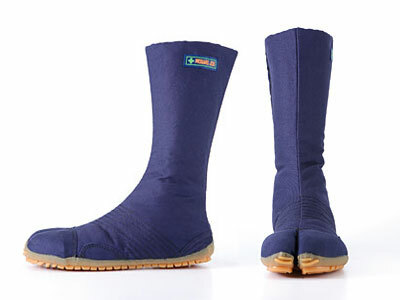 Their style is a bit more rugged looking, especially the ProGuard series, which have reinforced toe caps for extra protection. As the name suggests, this model has 12 kohaze, or metal clasps that hook into cotton loops for a perfectly snug fit.